The National Poetry Library is the largest public collection of modern poetry in the world and is free to visit. 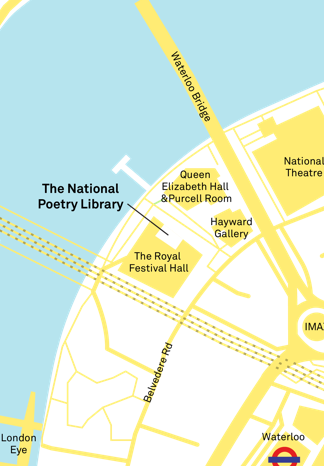 We are located in Royal Festival Hall at Southbank Centre in London and we are open to the public for poetry-related study six days a week. The National Poetry Library is fully accessible and easy to reach from public transport. What kinds of things can you find in our collections?